Commonplacing was a common practice during the seventeenth and eighteenth centuries in both the North American colonies and England in which an individual would create a book of quotations that they found meaningful in their reading. Creators of such books used them to copy down (by hand, of course) passages that they found enlightening, enriching, and occasionally confounding. Commonplacers then typically offered their own commentary about what they had read, reacting to texts, creating a conversation, or explaining why they had chosen it. 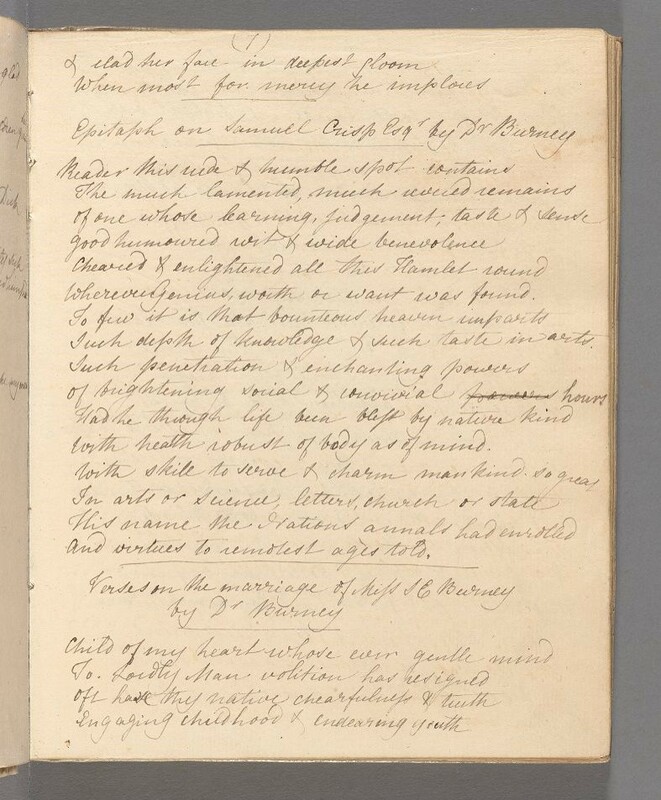 Commonplace books frequently also included indexes so that their creators could easily locate quotations relating to common themes or issues. This semester, you will create such a commonplace book using our course readings as your set of texts. In keeping with the practices of early America, you should keep this book as a handwritten journal separate from your other notes (so that you can turn the book in). The goal of the exercise is two-fold. First, you will work to inhabit the worldview of early American colonists by engaging in the same practices that they did (and with some of the same texts). There are, of course, barriers to thinking liking a seventeenth-century Massachusetts colonists, not the least of which is the massive technological advantage that we have. Nonetheless, it should give you some idea. Second, this assignment is designed to encourage you to develop and hone your own notetaking skills. By working each week to identify important quotations, think about what inspired or frustrated you in readings or discussions, and engage with both readings and class, you will more effectively remember material as the semester goes along, and—if all goes well—create a collection of quotations that you can utilize in writing your papers. Before each class session (see note below about exceptions), you should copy out by hand at least one quotation from the readings assigned for that day using the criteria explained below. For each quotation, include brief information about its location in the readings. Number your entries sequentially for easy reference. NOTE: You will not need to do entries for days on which other assignments are due. Provide a brief annotation (20-30 words) that explains why you selected each quotation and 2-3 index terms. Please bring your journal to class every day. We will use the commonplace books as a way to start conversation, so be prepared to share the ideas you write about in the book. During the course of the semester, I will also conduct unannounced spot checks to assess your progress. If your book is not up-to-date at these checks, you will lose up to 10 points from your final grade on the assignment. As you go, you should compile a draft index on the last page of your notebook that includes the terms you’ve selected with references to the numbers of the entries that address that topic. At the conclusion of the semester, you should create a clean copy of the index for final submission. You will submit the full commonplace book on Tuesday, May 1, at which point it should include all entries and a finalized index. An illustration of the author’s central argument or main point. A passage that confused you in some way. Connects clearly to other readings or to classroom discussions. Alan Jacobs, “‘Commonplace Books’: The Tumblrs of an Earlier Era,” TheAtlantic.com, Jan. 23, 2012. “Commonplace Books,” Reading: Harvard Views of Readers, Readership, and Reading History, Harvard University Library, Open Collections Program.